These large colorful buckets make perfect outdoor decorations. They can be used to store dogs toys, footballs, and baseballs. Choose colors to match the season and fill the buckets with pinecones or other seasonal decorations for a wonderful accent piece. No matter their use, these wonderful buckets will add a vintage farmhouse feel to your home. 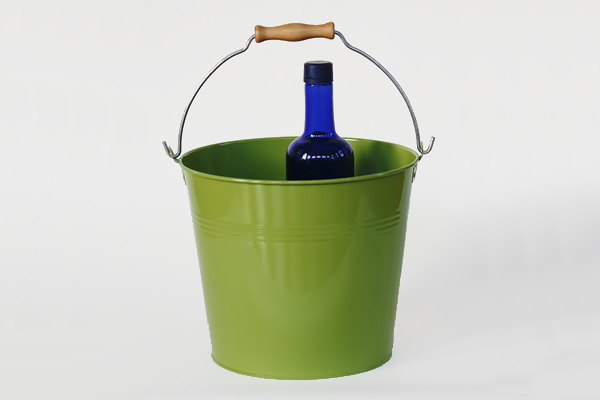 We also offer a smaller wooden handle rustic bucket in 20 colors to best suit your needs.